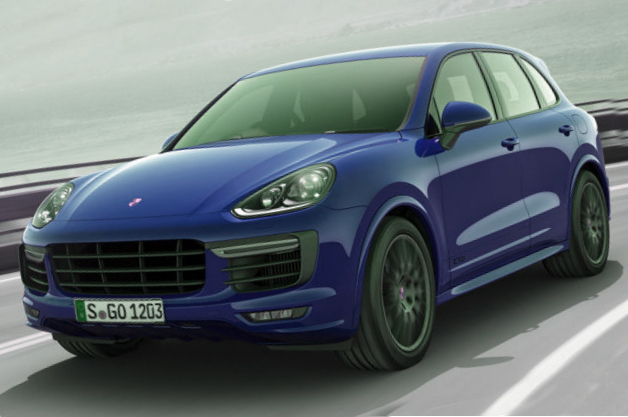 Recently, at the annual auto show in Paris, Porsche presented its upgraded Cayenne of 2015 model year; however, that time, the auto manufacturer did not show us the basic and GTS versions. We will see novelties in Los Angeles this month. The GTS version is between the S and Turbo variants. The Porsche Cayenne GTS is equipped with the 3.6-liter V6 twin turbocharged engine, which is able to produce the power of 442 horsepower and the torque of 442 lb-ft. According to Porsche, the GTS novelty can accelerates from 0 mph to 60 mph in 5.2 seconds as well. The maximum speed is 162 mph. Moreover, the GTS version is equipped with the renewed air suspension and dumpers providing better performance and the new sporty exhaust system. The braking system is taken from the Turbo version as much as the bigger intakes and the front bumper. The interior of the GTS includes Alcantara and leather inside. The basic version is equipped with the 3.5-liter V6 powertrain, which produces the output of 300 horsepower and the torque of 295 lb-ft. That unit allows accelerating from 0 mph to 62 mph in 7.7 seconds. The maximum speed is 143 mph as well. The new eight-speed Tiptronic S automatic gearbox is standard for both versions. Moreover, the carmaker is ready to offer the Cayenne S in a diesel variant, which will be aviable abroad.